The Merriam-Webster’s Learner’s Dictionary defines generosity as: the quality of being kind, understanding, and not selfish; the quality of being generous; especially: willingness to give money and other valuable things to others. So how do we as Christians, and as a church, Community of Christ, define Generosity? First, we must understand that God gives and loves graciously and generously. We need to believe that all we are and all we have are gifts from God. And as disciples and followers of Jesus, our stewardship, our whole-life commitment is in response to God’s generosity to us. Being generous is about choosing to align our priorities with God’s priorities, and then be willing to align our hearts with God’s heart. God gifts each person with boundless grace and unending love. Our response to that love and grace is to serve others and let generosity become part of our nature. God’s unconditional love for each of us is expressed through the life and ministry of Jesus Christ. When we faithfully respond to that ministry we become accountable to one another, God, and ourselves. Managing the money we have, no matter the amount, expresses our desire to love and help God, neighbors, ourselves, and the world. When we focus our giving on God’s purposes, our hearts become more aligned with God’s heart. Tithing is a gift of thanksgiving to God in response to God’s generous gifts to us. When we share our tithes, the church can spread joy, hope, love, and peace around the world so others can experience God’s generosity, too. Saving is a way to prepare for the future. It gives us the chance to extend our love and create a better tomorrow for our families, friends, the church’s mission, and the world. Responsibly spending is a commitment to live a healthy, happy life together with God and others. The teachings of Jesus challenge us to make lifestyle choices that are often countercultural. I read recently that one of Ripley’s “Believe It or Not” items pictured a plain bar of iron that was worth about $5.00. If that same bar of iron were to be made into horse shoes it would be worth $50.00. If it were made into needles it would be worth $5000.00. If it were made into balance springs for fine Swiss watches, it would be worth $500,000.00. The point here is that, the raw material is not as important as how it is developed and used. God has given each of us many different gifts, including the ability to be generous. But the worth of that gift will be dependent on how we choose to develop and use it. 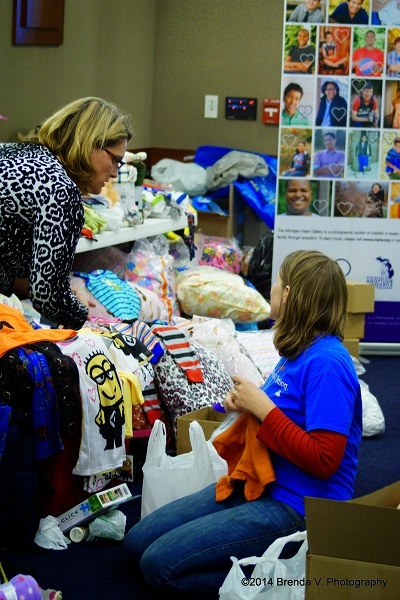 Community Of Christ Michigan Mission Center > News > Front Page News > What is Generosity?